Gladstone Tavern—Learn Bartending Skills at our Mixology Workshop! 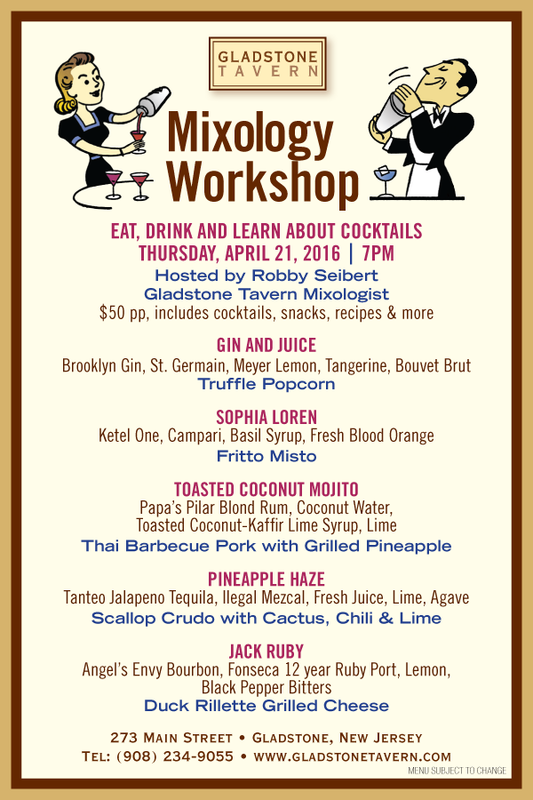 Learn and develop your bartending skills at our hands-on mixology workshop. Robby will be covering techniques such as muddling and stirring drinks. The group will concoct and create batches of black pepper bitters and a toasted coconut syrup. This unique evening will be fun, informative and highly interactive event, pairing specialty cocktails with snacks.